Pipe Dream – Page 67 – n. A fantastic notion or vain hope. School is more tolerable this sem. Maybe because I’ve gotten used to the 2 hour long lectures and the nomadic lifestyle of an NUS student. Haha. And one thing that I have noticed, is that I am the old me again. Haha. I found myself just as mysteriously as I lost myself. Weird. Anyway, I currently have only one goal in life. 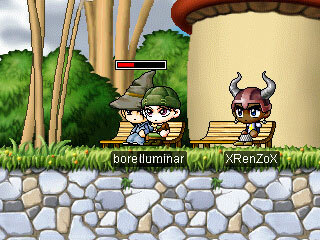 To be a great mage/archer in Maple Story. Bwahahahahaha. I’ve been playing Maple Story since Monday. I think it’s so much more fun than RO. 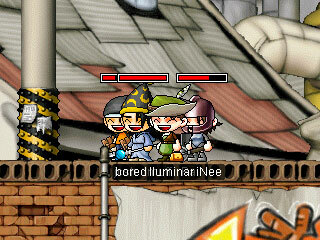 There’s my character in the weird green hat that makes it look like a boy in skirt. Lol. 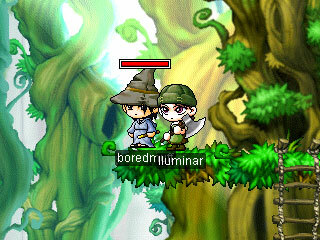 Muffin’s character is the wizard-that-looks-like-Gandalf standing next to mine. In the end I chose LSM1301 and FNA1002 for the last 2 slots.